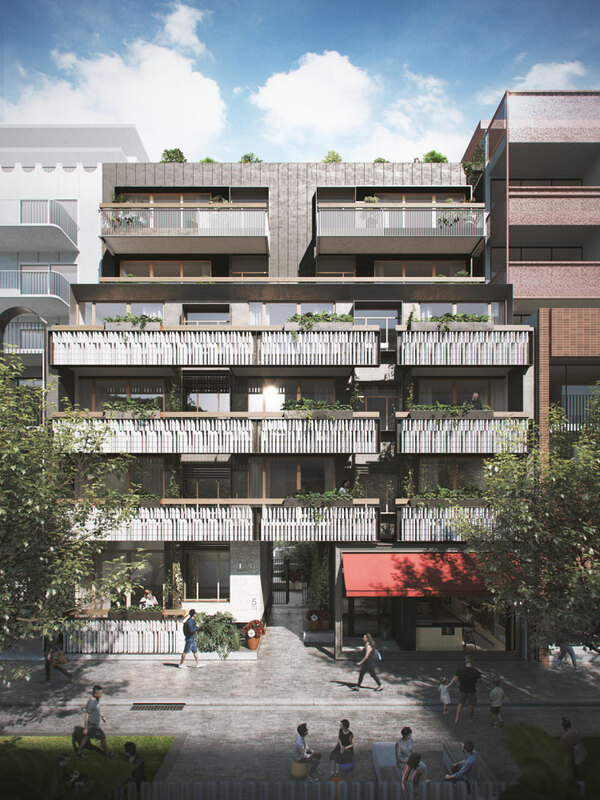 Hayball’s CRT+YRD is located at the heart of Nightingale Village, a collective of six buildings, designed by six award-winning architecture firms, located on Duckett Street in Brunswick. 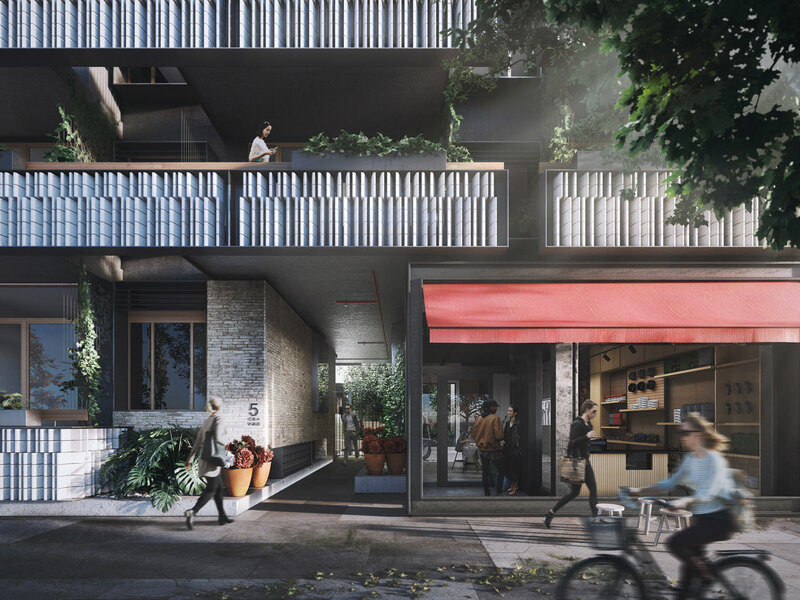 The Village has been designed to prioritise community, providing generously landscaped green spaces between buildings and commercial tenancies that contribute to amenity and activation for residents and surrounding neighbours. CRT+YRD’s name was derived from its most important feature and design element, reflecting the ethos and identity that supports the building and its residents. 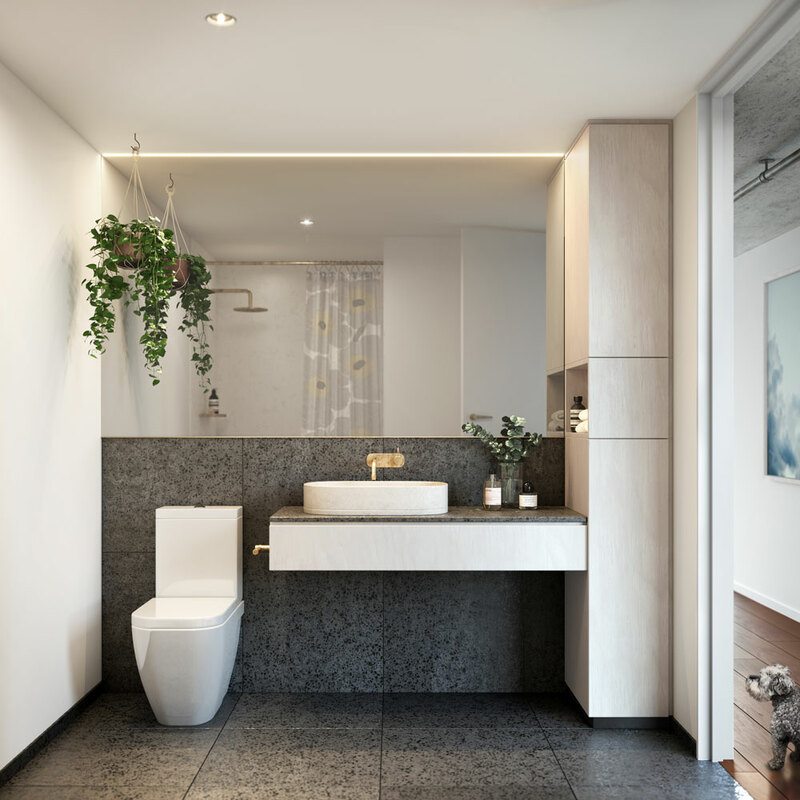 Designed from the inside out, the architectural response was driven by the site and its context to provide a unique internal response that brings joy and delight to residents. Hayball has designed CRT+YRD from a human-centric, user-first ethos that celebrates community and provides settings that allow for interaction, prioritising occupants over objects. 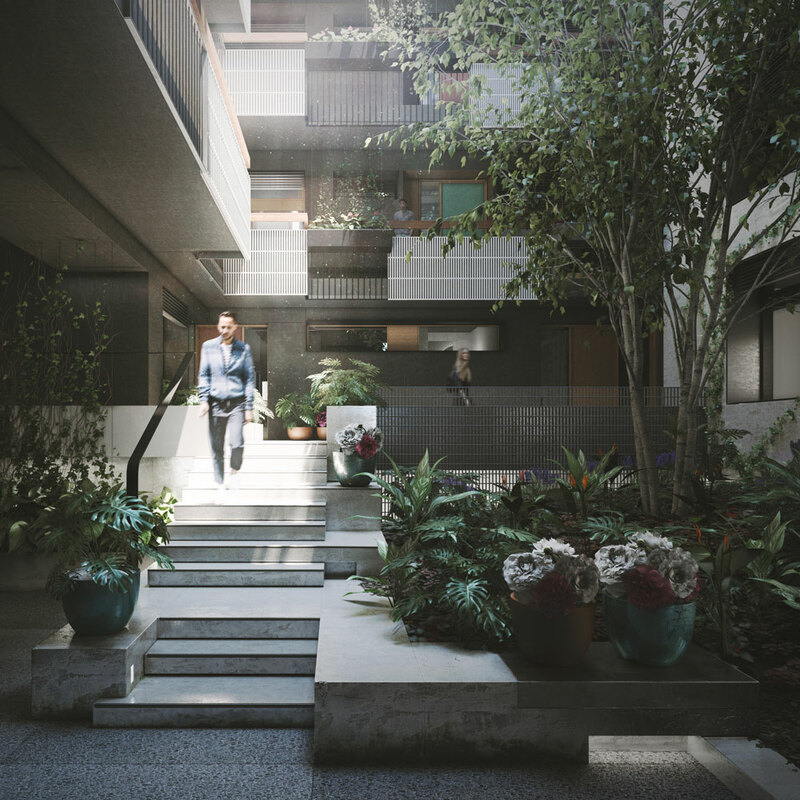 The central courtyard lies at the heart of the building, offering all apartments a dual aspect, or what we like to think of as a front yard, providing abundant lighting as well as passive ventilation and surveillance throughout. With thoughtful landscaping, plants and shared garden spaces contributing to the oasis of calm at its core. Where the central courtyard is the front yard the rooftop level provides communal facilities that offer residents an opportunity for a large back yard. 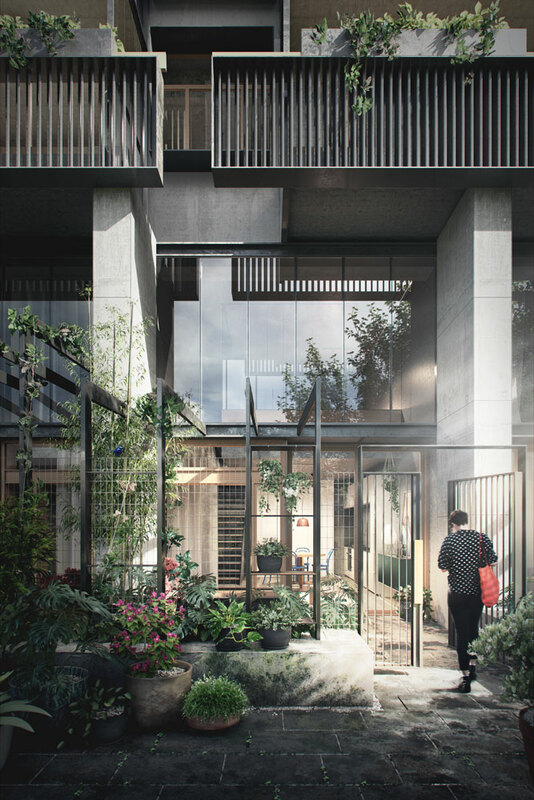 A space to encourage connection and community – open and undercover communal dining opportunities, planters for edible gardens and a communal laundry and drying terrace. Natural and robust materials celebrate identity and longevity as well as championing lower long-term maintenance. Where natural materials are used their inherent materiality is celebrated, including any natural imperfections, which ultimately contribute to the unique character of each space. Nightingale Village is being built under the Nightingale Housing model, advocating sustainable, high-quality and affordable housing, an ethos which feeds directly into Hayball’s passion for creating outstanding places and shaping sustainable communities.